Pump up your pipes! Here's how to recharge your biceps and triceps workouts for more mass, strength, and cuts. 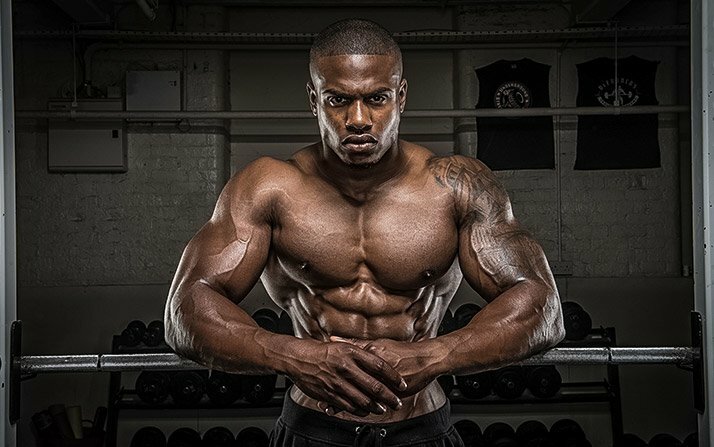 Let's face it—you may never have arms as impressive as competitive pro bodybuilder and Myprotein athlete Simeon Panda. But as he'd be the first to tell you, that's no reason to give up on your ambitions to add impressive, dense muscle to your biceps and triceps. In fact, had the formerly skinny teen let doubt be his guide, he'd never have achieved the development he sports today. "Nothing has come easy," Panda admits. "Every inch of my muscle has been earned through daily, vigorous, and intense training sessions, year after year." While that may sound daunting, it should also serve as proof that you can make progress if you're willing to put in the necessary effort, with an assist from Panda's straight-shooting advice. Here are his five best tips for upgrading your arm training and maximizing your own genetic potential. Panda started out as a rail-thin 16-year-old who struggled to add size, and was initially motivated to hit the weights to bulk up his bony frame for rugby and track. "Very early in my training career, I had a regular home routine of barbell and EZ-bar curls, along with dips and close-grip push-ups," he recalls. Over the next 13 years, (Panda) honed his approach as he grew to 6-foot-1 and 220 pounds, and today he dedicates one training day in his weekly split to arms. Over the next 13 years, he honed his approach as he grew to 6-foot-1 and 220 pounds, and today he dedicates one training day in his weekly split to arms. "As much as they get a good workout from compound exercises like presses and rows, I feel that if you truly want your arms to grow, they need direct attention without being fatigued first," he explains. "I rotate between biceps and triceps exercises, one after the other, during an arm session. I prefer to let one muscle group rest after an exercise [by switching back and forth] in order to get the best from it on the next." "I've never trained forearms directly," Panda admits. "I believe all the other compound movements that use the forearms as a secondary muscle—especially heavy back exercises like rows, but anything that involves holding and controlling a heavy weight—are sufficient to stimulate them." Sure, your biceps and triceps are smaller body parts, and workouts typically include more single-joint exercises (targeting one muscle) rather than multijoint movements, which call upon more than one muscle group to complete. But it's a mistake to take a higher-rep approach and train your arms differently than you would, say, your chest or back. That means you want to train to failure, and choose a weight that causes you to reach failure within 8-12 reps.
"Including at least one failure set with each arm exercise will be beneficial to increasing your hypertrophy," says Panda. "Aside from failure sets, each set should be challenging, allowing you to perform only the number of reps you intend to complete." In other words, if your set protocol calls for 10 reps, make sure the resistance matches that goal. If at the end of a set you feel like you can pump out more reps with ease, you've gone too light. Why does failure matter? It's all about adaptation. By pushing your muscles past their current comfort zones, you provide an impetus for your body to react and repair muscle fibers, so they can take on that same load in the future. Inside the muscle, failure helps prompt a cavalcade of hormone responses and breaks down muscle tissue to be repaired during rest and recovery. While Panda doesn't believe in overdoing intensity-boosting techniques, he does recommend dropsets for intermediate- to advanced-level trainees on arm day. In a dropset, you choose a weight you can do for 10-12 reps. Once you hit positive failure—in which you can no longer lift the weight without compromising your form—quickly drop the weight about 25 percent and resume the set until you reach muscle failure once again. From there, you can continue with further drops as you please. While Panda doesn't believe in overdoing intensity-boosting techniques, he does recommend dropsets for intermediate- to advanced-level trainees on arm day. "I like to throw in dropsets with arms; the pump can be unreal," he says. "Near the end of the set, you'll find repping even with the lightest weight extremely difficult." Picture a full-grown man trying to curl an unloaded barbell with all his might, yet barely being able to budge it, and you'll have an idea of what the end of a good dropset looks like. Panda counts any number of movements as candidates for dropsets, including dumbbell hammer curls, machine curls, and cable push-downs. Dumbbell and machine exercises are ideal, in fact, because it's so easy to decrease the resistance with a quick switchout of the bells or the movement of the pin on a weight stack. While a seasoned gym rat can squeeze benefits out of just about any common weight movement with concentration, good form, and the right resistance, not all exercises are created equal. To Panda, the list of all-time greats includes standing barbell curls, EZ-bar preacher curls, lying French presses, and parallel-bar dips. "Barbell curls are a fundamental arm exercise everyone should be doing, from amateur to seasoned pro," he says. "If you're a beginner, I highly recommend bodyweight exercises for triceps, which can be extremely effective in increasing your arm strength and growth. I fully exhausted my triceps with multijoint exercises like dips and close-grip push-ups during my first few years of training, and that laid a foundation for further development." Say you've been focused on adding 1-2 inches to your arms for the last six months, with little luck. What should you do next? Don't panic, says Panda. "I personally do not confine myself to time constraints—in all honesty I just don't like them. Everyone is in a rush and too concerned with stats and figures, which can cause you to lose sight of what's really important." "I personally do not confine myself to time constraints—in all honesty I just don't like them. Everyone is in a rush and too concerned with stats and figures, which can cause you to lose sight of what's really important." What is important is remaining consistent and patient as you pursue your long-term goals. "Do all the right things, like what I've outlined here, to add muscle mass to your arms," says Panda. "Train them with an effective routine consistently, and if they still aren't showing signs of growth after 2-3 months, incorporate some changes. 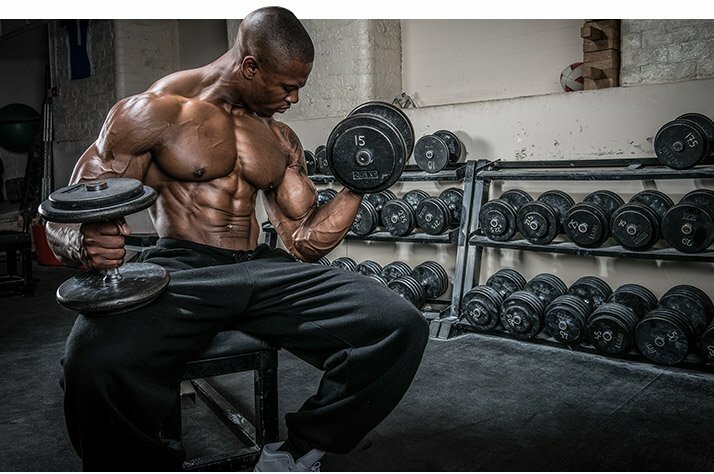 That could mean altering your training style and including intensity techniques like supersets and dropsets." You can even experiment with things like German volume training, which involves doing 10 sets of 10 reps per exercise with the same weight, or escalating density training, involves squeezing more volume into a given timeframe. A good rule of thumb is that you need to gain 10 pounds of body weight to add an inch to your arms. Setting aside the scientific veracity of that idea, it's clear you'll need ample protein to feed your growing muscles. Panda takes in protein throughout the day, including a serving or two of his favorite protein powder. "I use Myprotein's Iso:Pro 97," he says. "I pick a powder that's as high in protein as possible, and low in everything else—in other words, pure protein." Another solid option is Myprotein's Impact Whey Protein.